Traffic around downtown’s Westlake and Seventh avenues reflects the neighborhood’s rapid development. At any given time of day, the intersection is filled with pedestrians, bikes and cars all trying to navigate around five crosswalks. To improve mobility, facilitate ongoing growth and spruce up the public realm, DSA is joining with local businesses, the City of Seattle and a local artist to transform the crossing into a fun, vibrant juncture using color and artistry. 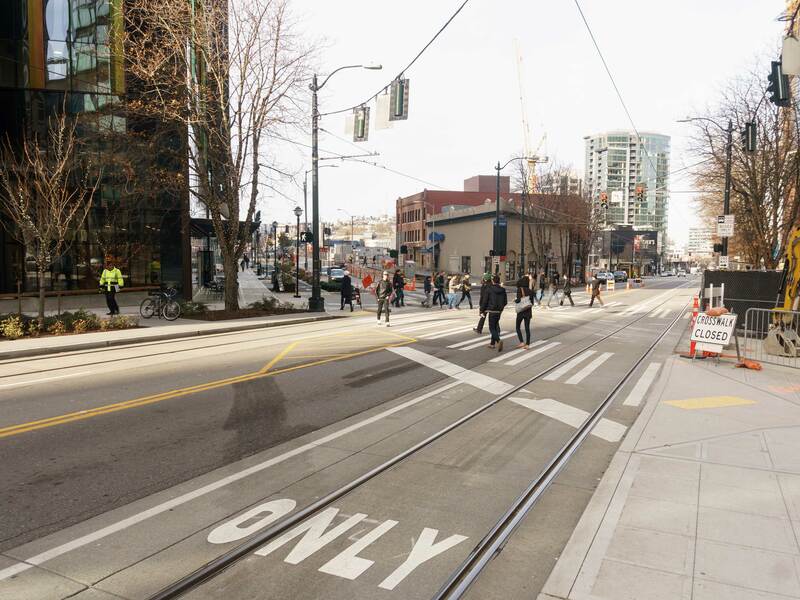 Once complete, Seventh and Westlake will be more attractive and much easier to traverse. Artist Will Schlough was chosen for his experience with public art and ability to transform humdrum spaces into memorable experiences.